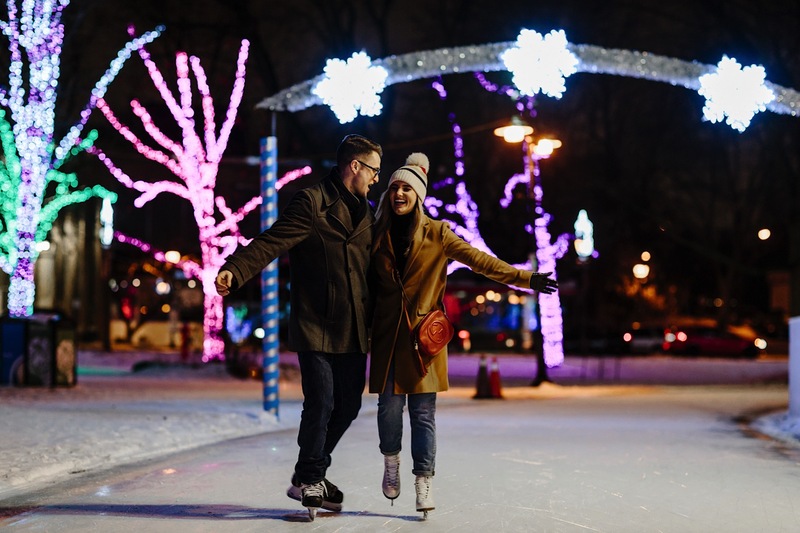 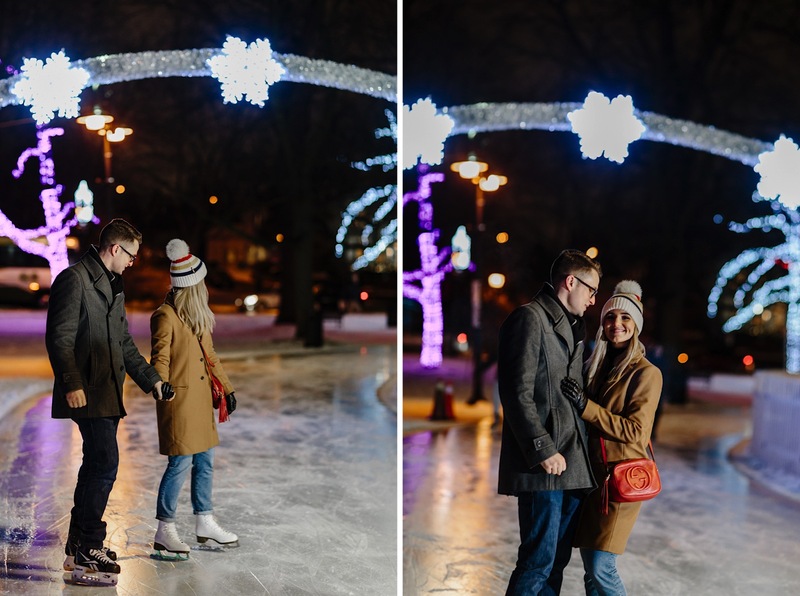 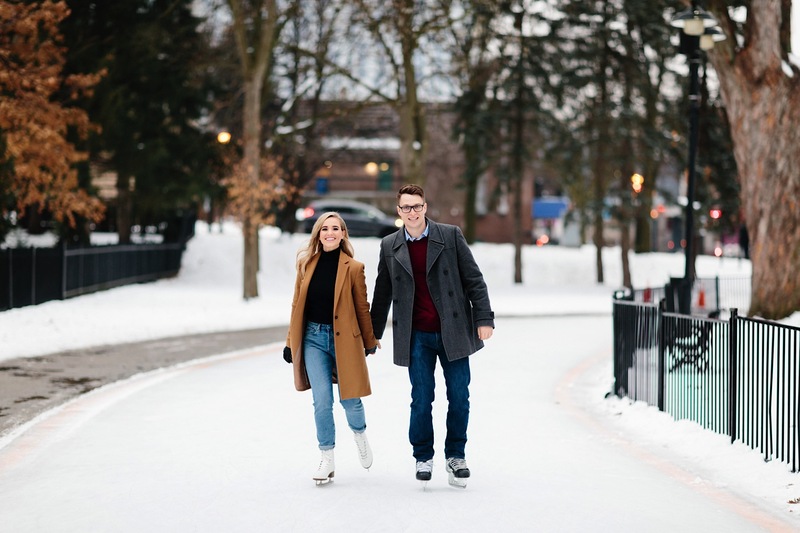 This winter skating engagement session at Gage Park in Brampton is one of my favourite sessions EVER! 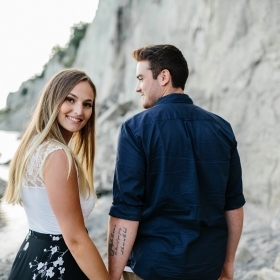 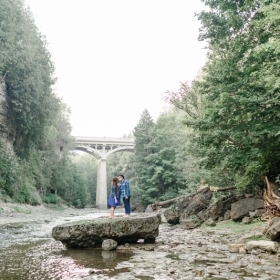 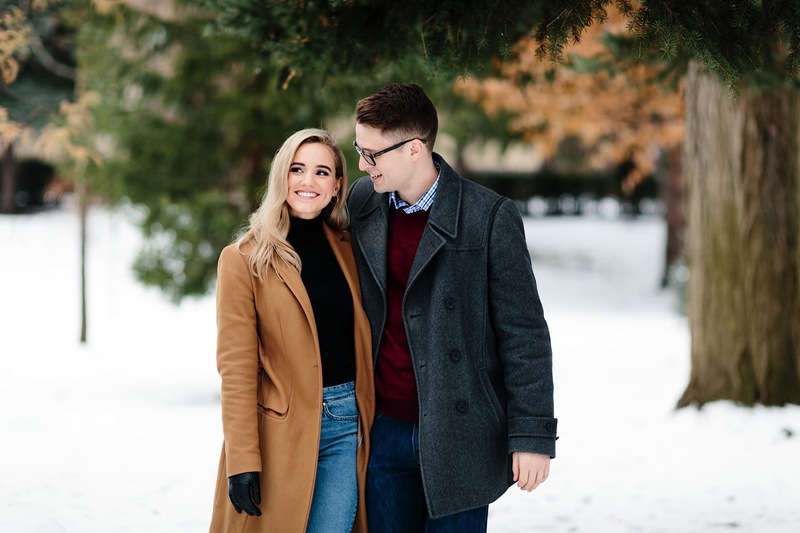 Patrycja and Evan were amazing in front of the camera, they were able to just be themselves and have a great time. 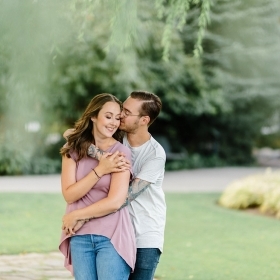 They are definitely one of the sweetest couples I have ever met! 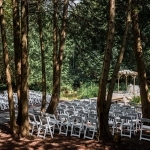 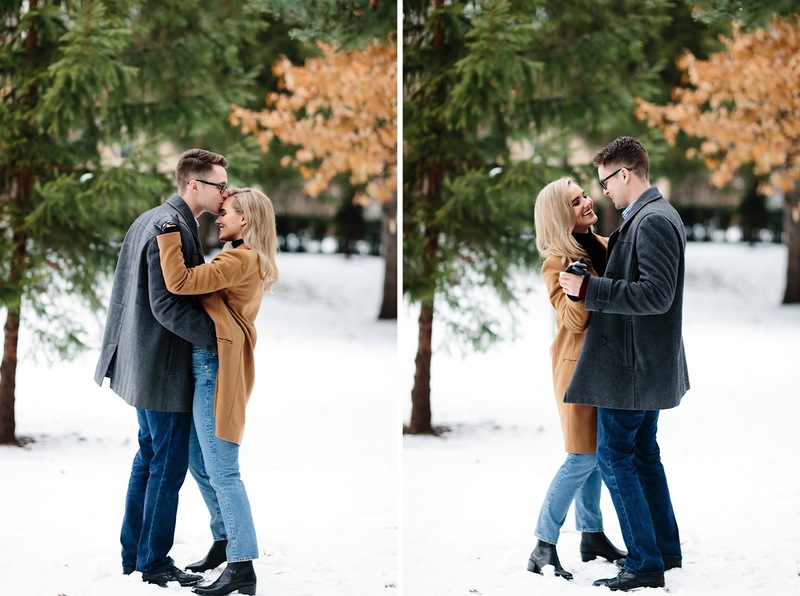 We pretty much had everything going for us that day, there was snow on the ground yet it wasn’t very cold outside and the location was so perfect! 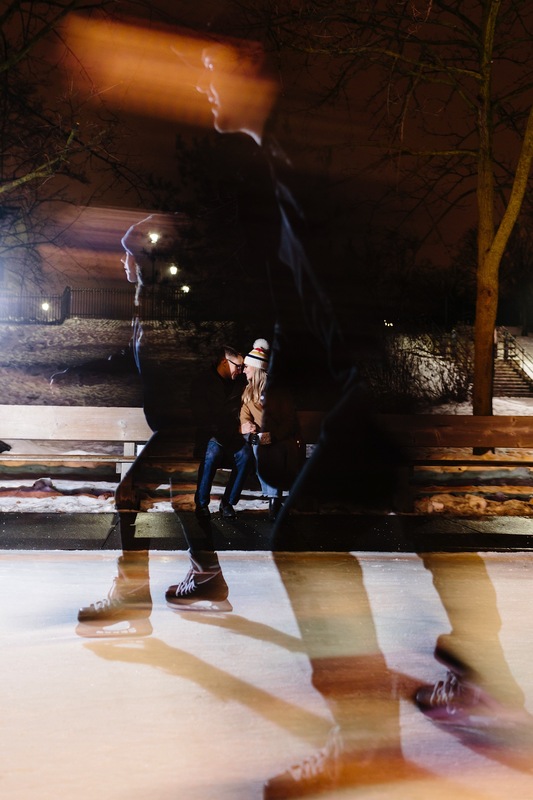 If you haven’t skated in Gage Park, it’s a must! 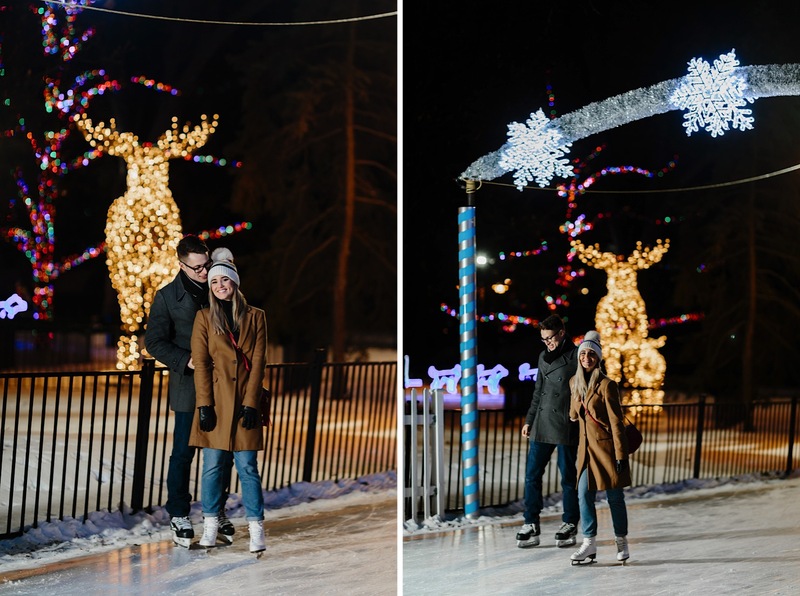 The lighting at night is spectacular! 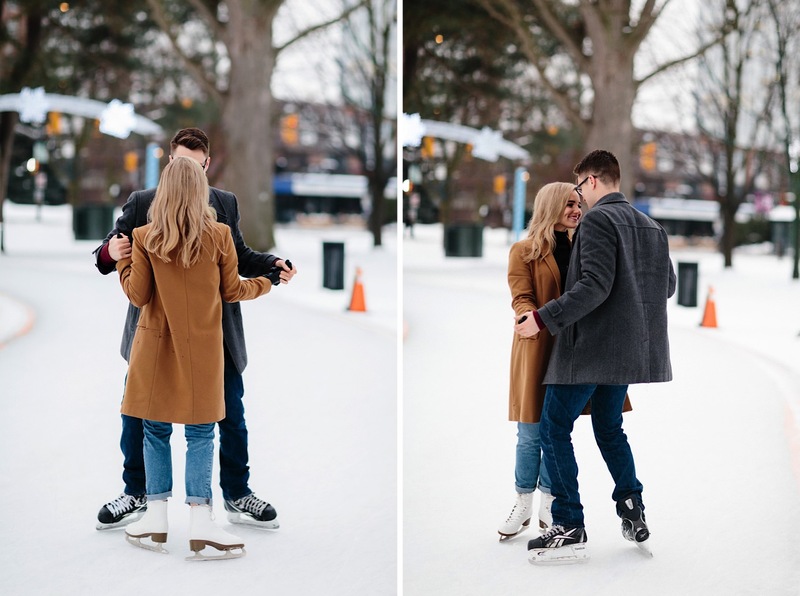 The winter skating engagement session photos below start off during the day and switch over to the night about half way though. 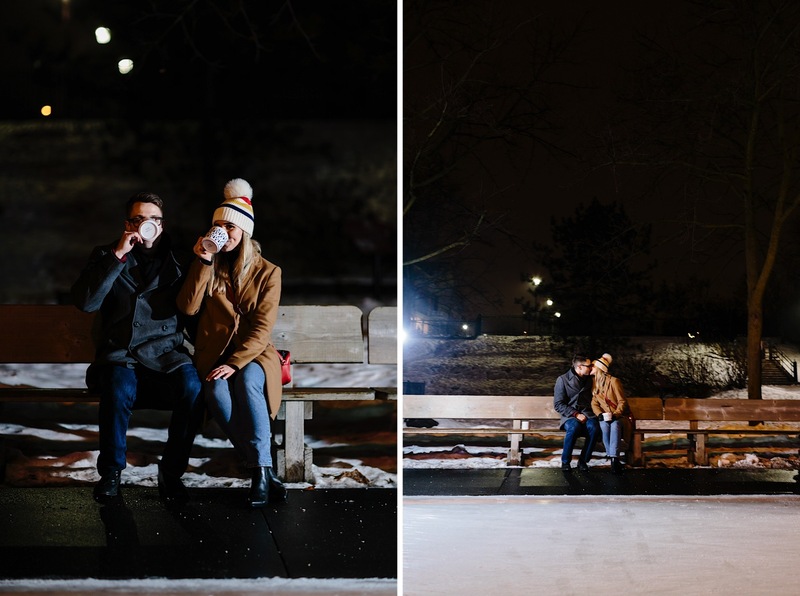 We wanted some brighter day and some dark night shots, so we took a little break in between and grabbed a coffee. 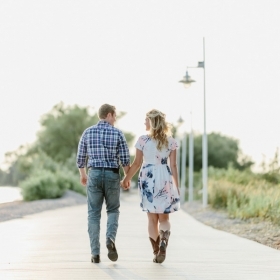 It was such a great opportunity to get to know each other even better! 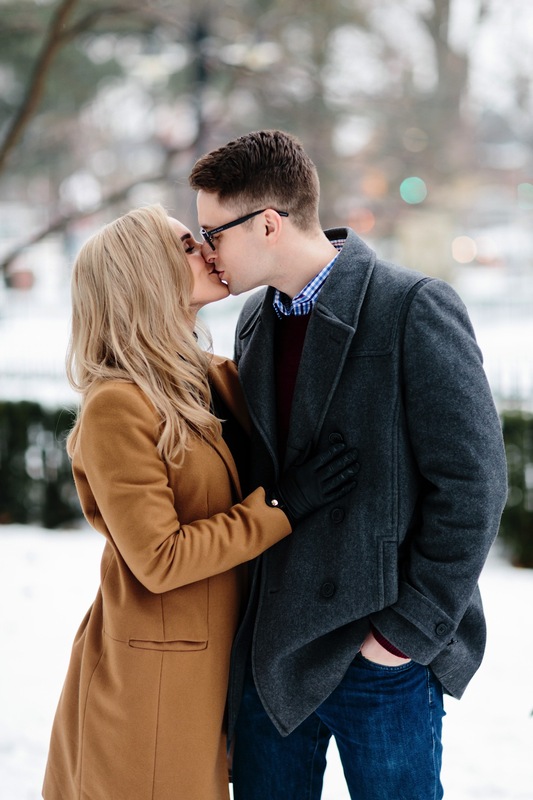 I can’t wait for Patrycja and Evan’s wedding at the Hunt Club in August! 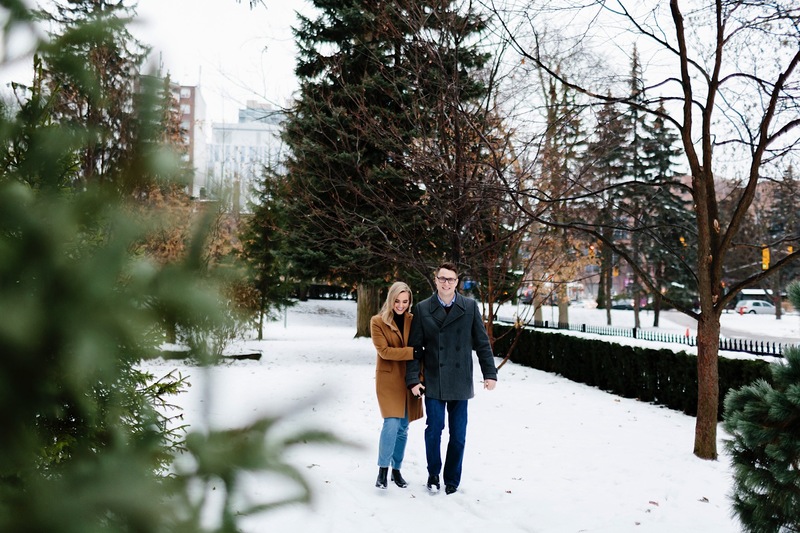 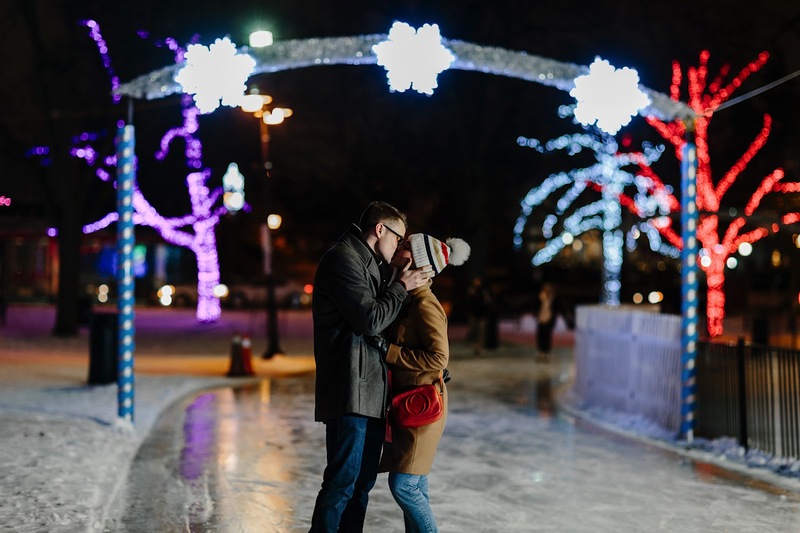 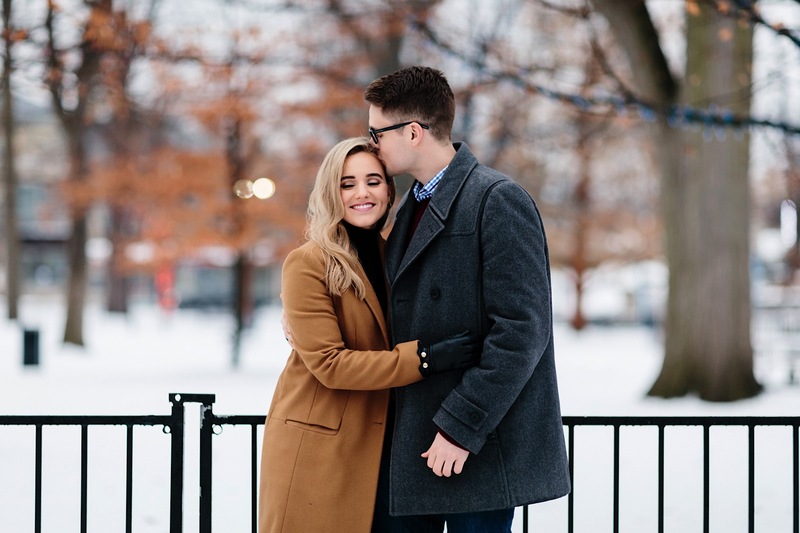 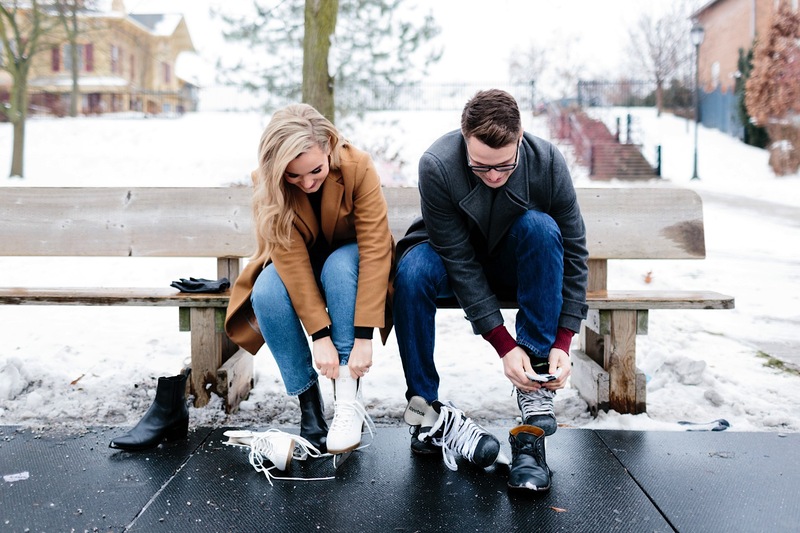 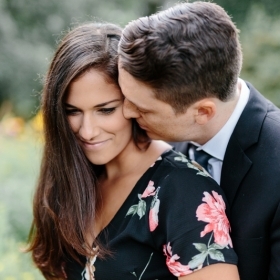 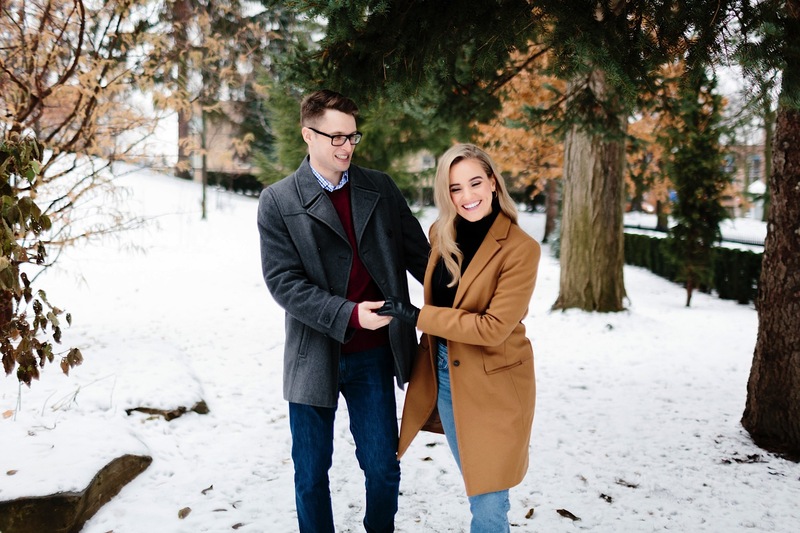 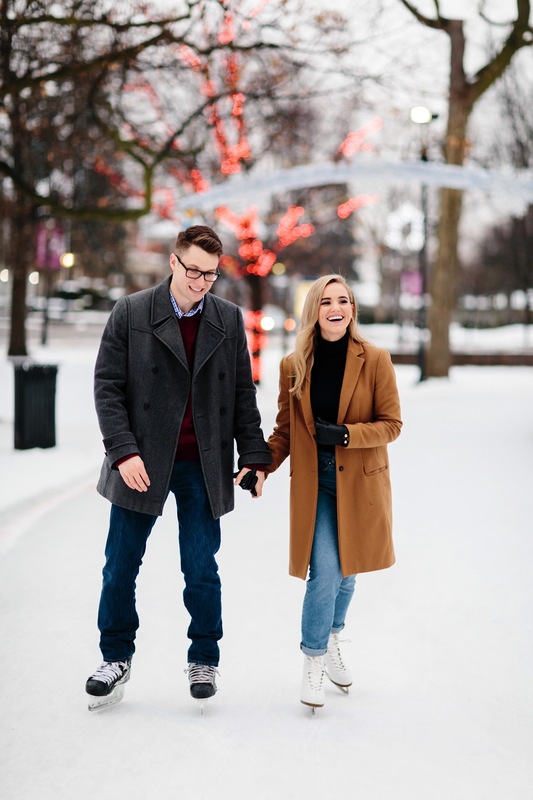 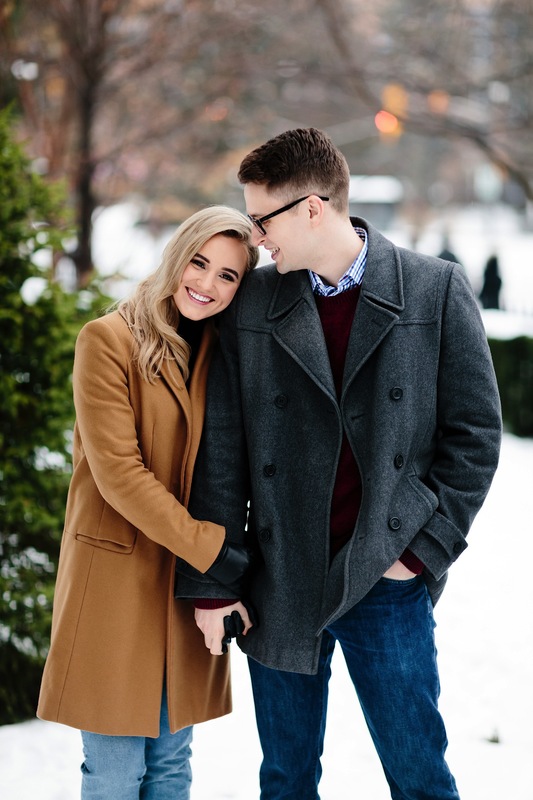 If this winter skating engagement session is any indication of what their wedding photos will look like, it’s going to be pretty incredible!